Last week was a busy one for video games, with several big releases hitting retail channels. Amongst these was Far Cry New Dawn, the latest entry in the long-running Far Cry franchise. And although this was expected to be a heavy hitter last week and shift quite a few copies, it may have been a mild disappointment for Ubisoft despite topping the UK sales charts for the week. 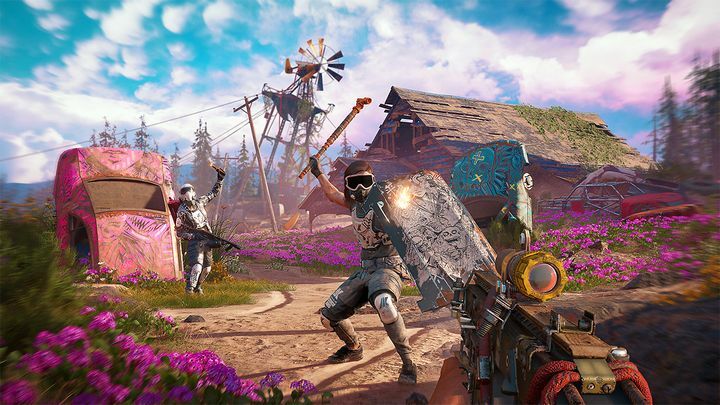 You see, Far Cry New Dawn sold a whopping 87 % less copies than its predecessor Far Cry 5 during its launch week, despite topping the charts as reported on GamesIndustry (via comicbook.com). Actually, Far Cry New Dawn was even outsold by 2016’s Far Cry Primal four to one, something that some may find surprising taking into account that Primal is far from being the best entry in the franchise. But still, Ubisoft still has reasons to be cheerful, as Far Cry New Dawn topping the charts shows how popular the series has become, and its lower launch sales compared to Far Cry 5 (which is the franchise’s top-seller to date) may partly be due to the fact that less video games were sold overall last week. Things were rosier for Metro Exodus, though. This sequel to 2012’s Metro Last Light was not only released to critical acclaim, but sold 50 percent more copies than the previous game in the series, entering the charts at number 2. This is quite impressive taking into account the game’s Russian, post-apocalyptic setting, and that the series is famous for its punishing difficulty (actually 2010’s Metro 2033 is one of the toughest games out there). The other new entry in the top 5 for the week is Jump Force, a fighting game by Bandai Namco which enjoyed a good launch week, while Rockstar’s Red Dead Redemption 2 (number 3) and FIFA 19 (number 5) continue to hang in there too. However, Microsoft can’t have been too pleased with the performance of Crackdown 3, it’s latest open world video game, which only managed to come in thirteen place in the UK sales charts, selling a whopping 90 percent less copies than the earlier Crackdown 2. Of course, the boxed retail charts don’t track digital sales, meaning Crackdown 3 might have not done so badly overall. It would be a great thing too if this year continued to offer great gaming experiences, and also that superb games like Metro Exodus continue to succeed in what is bound to be another great year for gaming for sure.